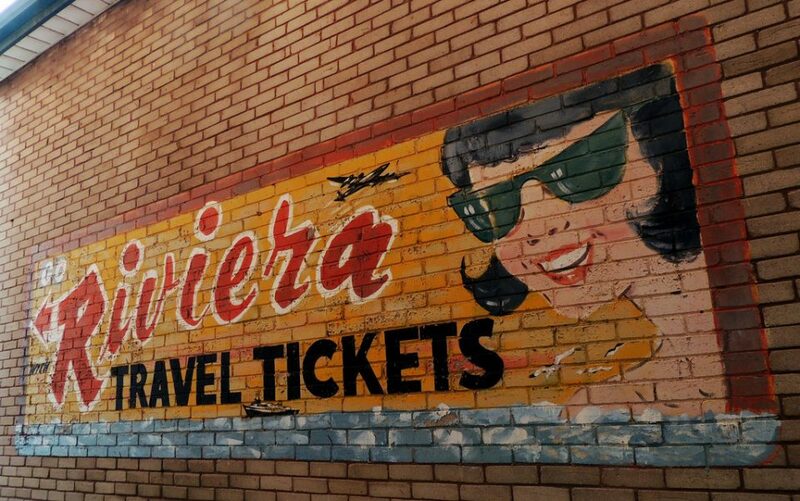 Online trip planning has decimated storefront travel agents and these closed & abandoned travel agencies show the loss goes beyond just tour three. The Jet Age saw an explosion of travel fueled by rising post-war prosperity accompanied by advances in aircraft design, capacity and performance. 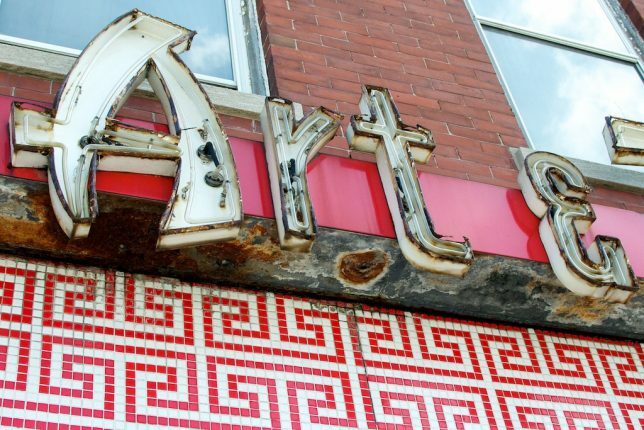 Our lead image featuring a still-vivid ghost sign from Toronto, Canada, epitomizes the optimism of that era. 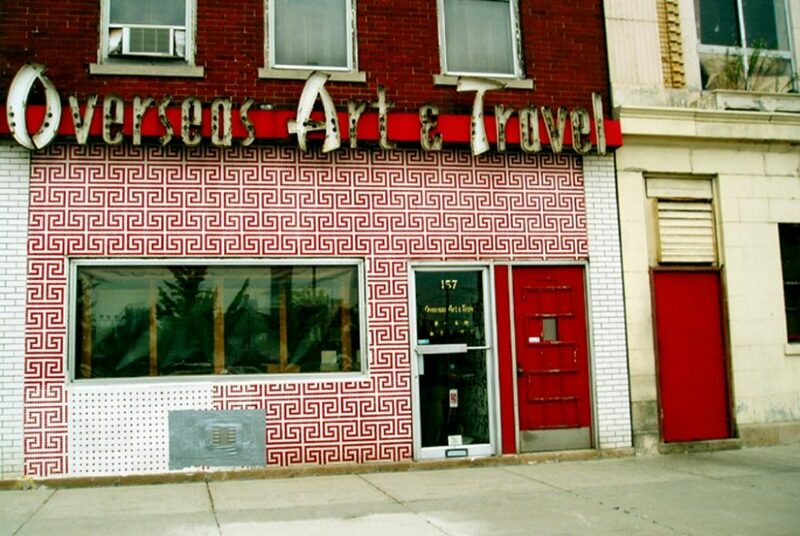 The above abandoned travel agent from Chicago, snapped by Flickr member ***kevin*** in late 2007, appears to equate foreign travel with esoteric artistic pursuits. Is it any wonder Overseas Art & Travel is located in Chicago’s Chinatown? Not really. Could a business get away with that design and font today? Not likely. 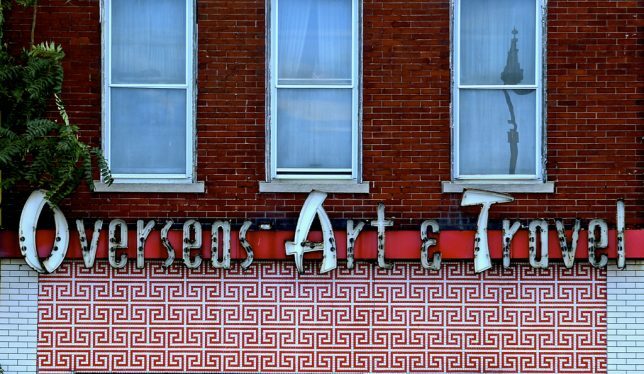 Flickr members nils gore (mistersmed) and Meridith112 captured this gaudy relic of a bygone age in July 2010 and October 2013, respectively. Don’t most Brits look southwards when planning their holiday vacation trips? Evidently booking tours to Ireland and Denmark wasn’t a well-thought-out business plan, without even factoring “Jesus” into the equation. 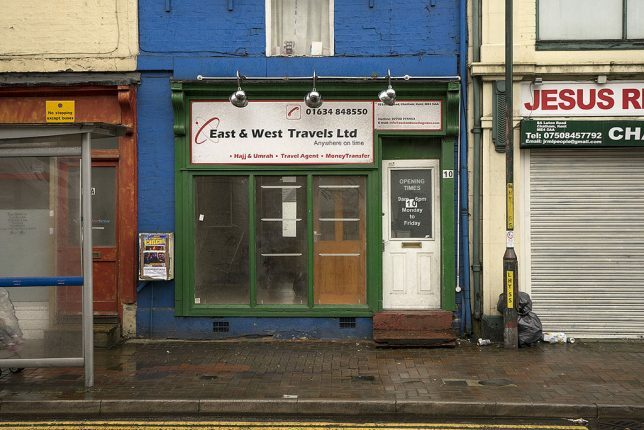 Flickr member leon S-D (littleweed1950) captured this closed travel agency in Chatham, Kent, UK on January 1st of 2013. Travel agencies often scramble to find an inspirational name that strikes a chord with their target market – travelers in search of fun, adventure and/or just plain relaxation. Those looking for the opposite – or merely to end it all – may want to consider Lemming Tours. Hey, it’s one way to escape the rat race. We won’t leave you with any er, cliffhangers though the same cannot be said for this inappropriately-named travel agency from Augsburg, Germany. 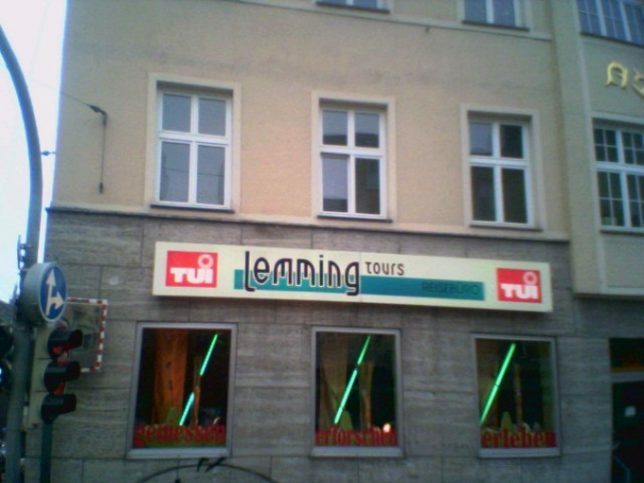 Flickr member Oxymoron couldn’t resist the allure of Lemming Tours’ sign in April of 2005. 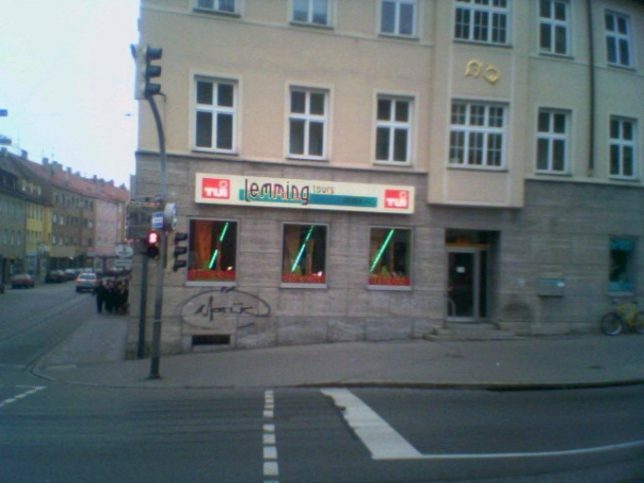 Hopefully they resisted the primal urge to join one of their popular Norwegian package tours. This subdued and apparently shuttered travel agency must have been going for the double-take… how many potential clients were lured by the promise of space travel via rocket, and how many left disappointed. We’re guessing, like, all of ’em. 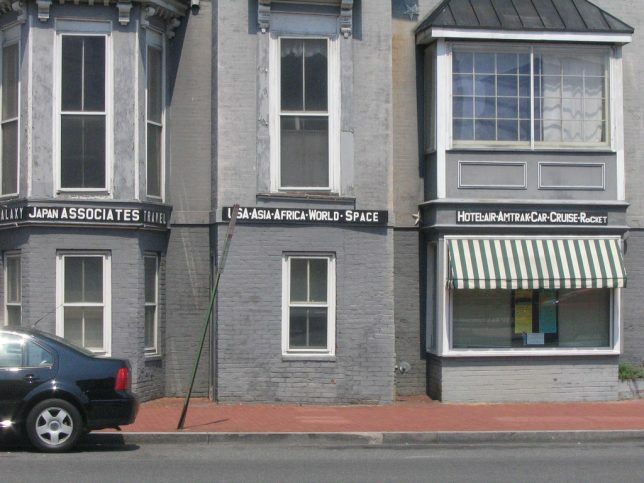 Flickr member Kate Tomlinson snapped the over-the-top (though not out-of-this-world) travel agency from Washington DC in August of 2007.